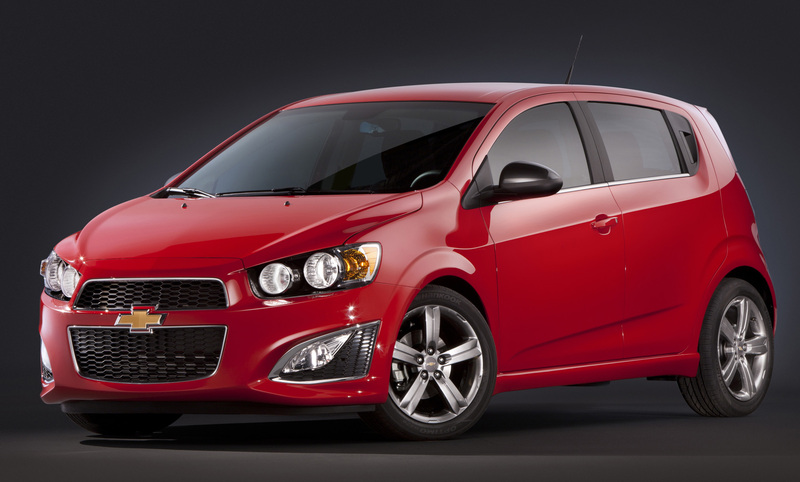 Port Elizabeth, 8 October 2013 – With just over a week to go until the General Motors South Africa stand at the Johannesburg International Motor Show buzzes with media activity, the forthcoming Chevrolet Sonic RS has been announced as one of the stars of the show. Forming part of an exclusive special vehicle twosome for the Show, the Sonic RS is the new jewel in the Sonic range. Due for South African release in the first quarter of 2014, the Sonic RS adds performance flavour to the Sonic range, the five-door hatchback featuring a 1.4-litre turbocharged petrol engine under the bonnet with a 103 kW of power. Coupled to uprated suspension, the Sonic RS also features improved handling to match the boosted performance. A number of special detail changes inside and out separate the Sonic RS from its siblings, highlights of which include a sportier exterior look, dark-painted alloy wheels, red interior detailing and the Chevrolet MyLink infotainment system, which makes its South African debut in the Sonic RS. 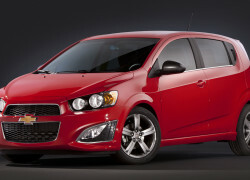 The RS badge within the global Chevrolet stable stands for a sport iteration of an existing model. Typically with sporty exterior and interior design detailing, the RS model in the range tends to offer unique styling with an uprated powertrain. Chevrolet’s performance flagships always carry the well-known SS or Z badging.